Important Features Jeniffer’s Sun in trine (within 5.1 degrees) with Ben’s Sun The planetary energies flow smoothly; the connection is easy and beneficial. With this aspect, of Sun in flowing relation with partner’s Sun, the indications are there for a strong and beneficial connection with each other. Moment to moment you are alike, yet different, getting along with similar styles and interests, although you can also complement each other well. You are likely to feel an almost telepathic communication with each other as well as an intuitive sense of friendship and similarity. There may be a deeper purpose to your connection, which you and your partner can bring to light, to be fun in the sun, buddies at the very least. This aspect is good for children and the child in you, with strong friendship, and warm sharing comradeship, and harmony of response, an unusually good aspect for play and entertainment. Jeniffer’s Moon in strong sextile (within 1.4 degrees) with Ben’s Sun and Jeniffer’s Sun in weak opposition (within 7.0 degrees) with Ben’s Moon. Since your and your partner’s complementary planets follow the same pattern, this aspect is greatly emphasized in your reading. Pay special attention to the following material! The planetary energies flow together, open into new possibilities, new connections. With the Sun and Moon in flowing relation between your two charts, you have a good connection with each other. This aspect symbolizes a great deal of closeness and shared interests between you. You will enjoy conscious awareness of your emotional states, with lots of nurturing, and open feelings, desire for comforts and bonding together, especially within a home or other secure environment. You may discover considerable enjoyment of things of the past or history, as well as general enthusiasm together. Since the Moon is involved, each of your feminine and softer sides will likely be brought forward by this relationship. Jeniffer’s Venus in quintile (within 2.5 degrees) with Ben’s Sun and Jeniffer’s Sun in quintile (within 2.3 degrees) with Ben’s Venus. Since your and your partner’s complementary planets follow the same pattern, this aspect is greatly emphasized in your reading. Pay special attention to the following material! The planetary energies are positively linked, subtle, and spiritual in dimension. This aspect, of Sun in flowing relation with partner’s Venus, is generally beneficial. The two of you are likely to make each other feel and look better together. There is likely to be a strong friendship based on common interests, especially in the area Venus or the Sun occupies in your respective charts, particularly in the mutual pursuit of some area of pleasure or sensual enjoyment. The aspect can sometimes be indicative of fortune, success and awards together or other recognition, some sense of noble bearing. Together you find enjoyment in each other’s achievements and energy. Jeniffer’s Sun in strong trine (within 2.5 degrees) with Ben’s Mars The planetary energies flow smoothly; the connection is easy and beneficial. This aspect, of Sun in flowing relation with partner’s Mars, symbolizes positive self-expression, action, and mobility in your partnership energy, together with a sense of shared purpose. Together, you will be capable of rapid progress toward your goals, with up attitudes, helpfulness and just going for it. You will find abundant support by Ben for the strong leadership of Jeniffer, as you keep focus on the mutual awareness of vital life pursuits, and your drive to succeed together. Jeniffer’s Jupiter in sesquiquadrate (within 0.6 degrees) with Ben’s Sun and Jeniffer’s Sun in strong trine (within 0.9 degrees) with Ben’s Jupiter. Since your and your partner’s complementary planets follow the same pattern, this aspect is greatly emphasized in your reading. Pay special attention to the following material! The planetary energies flow smoothly; the connection is easy and beneficial. With this aspect, of Sun in flowing relation with partner’s Jupiter, you can expect joyous and expansive connection with one another. You will likely come into a wondrous awareness of purpose, perception, and vision together, leading to new levels of trust and faith between you. It is possible that significant journeys will be undertaken together, or perhaps time spent to positively re-evaluate goals and concrete expressions of your shared enthusiasm for life. This aspect symbolizes increased play, joy, childlike nature, the desire for humor, sharing of all you have, while pursuing religious, educational, or outdoors activity with each other. It is good to remember to avoid excess. Jeniffer’s Moon in sesquiquadrate (within 1.5 degrees) with Ben’s Moon The planetary energies conflict in determined subtle tension; control is required. With this aspect, of the Moon in minor dynamic relation with partner’s Moon, you may have something of an instant emotional rapport with each other. You may feel comfortable together, or you may feel a psychic bond, as though connected from sharing some ancient, and perhaps unconscious, past experiences together. It is also possible that there may be an unbalance of nurture between you, perhaps one of you gives more than the other can receive, or one may have different emotional needs There is a strong feeling is of desiring to help and supply, and to care for each other, but you may encounter difficulties in actually working well with each other. Your relationship may involve food, perhaps restaurants, and sharing of all types of environments, as well as good fellowship with friends. You feel a heightened response and receptivity for each other, partaking together of the nurturing, and the feminine, side of life. Jeniffer’s Jupiter in sextile (within 3.5 degrees) with Ben’s Moon and Jeniffer’s Moon in weak opposition (within 7.4 degrees) with Ben’s Jupiter. Since your and your partner’s complementary planets follow the same pattern, this aspect is greatly emphasized in your reading. Pay special attention to the following material! The planetary energies flow together, open into new possibilities, new connections. This aspect, of the Moon in flowing relation with partner’s Jupiter, indicates increased enjoyment, beneficial mutual cooperation, and expansion of goals and plans with each other. Spiritual feelings are likely be included in this partnership. There is a strong and positive optimistic feeling between you and a natural expectation of the ideal, that only occasionally leads to excess. Jeniffer may bring some great gift or abundance into Ben‘s life, and the nurturing and support provided by Ben will be expanded and uplifted by the actions of Jeniffer. There is an element of down to earth practicality mingled with an abundant and optimistic nature and the sense of knowledge well shared. This is a very positive aspect, productive of spiritual wisdom, fantasy, and good nature in general. Jeniffer’s Saturn in inconjunct (within 0.2 degrees) with Ben’s Moon and Jeniffer’s Moon in strong conjunction (within 2.7 degrees) with Ben’s Saturn. Since your and your partner’s complementary planets follow the same pattern, this aspect is greatly emphasized in your reading. Pay special attention to the following material! The planetary energies do not flow smoothly, one or the other predominates; discrimination must be employed. This aspect, of the Moon in minor dynamic relation with partner’s Saturn, is somewhat difficult, and can indicate limits to growth and happiness together, unless long-term insight and maturity is applied. There is likely to be a sense of restrictive behavior which comes more from Jeniffer, who is also likely to appear to be critical or demanding at times. Although there is a strong emotional connection between you, and a good basis for stability, one or both of you may seem emotionally cool to the other. Jeniffer’s Venus in sextile (within 2.3 degrees) with Ben’s Mercury and Jeniffer’s Mercury in square (within 3.3 degrees) with Ben’s Venus. Since your and your partner’s complementary planets follow the same pattern, this aspect is greatly emphasized in your reading. Pay special attention to the following material! The planetary energies conflict; internal and creative tensions bring rich rewards through effort over time. This aspect, of Mercury square with partner’s Venus, indicates sharing of self-expression, creativity and communication, although styles of expression can be misaligned. There is a great deal of warmth and affection for each other, and you undoubtedly mutually enjoy some form of aesthetics, but you may differ in your reactions or become confused and at cross-purposes over these types of issues. Travel together is another area where your experience may be beautiful and enjoyable, but not long lived, or otherwise less than perfectly realized. You will also likely share in the enjoyment of film and books, of writing and the arts. In business, you can expect cooperation and blending of differing styles leading to success and achievement together, if the two of you show a willingness to put aside your differences and support and sympathize with each other. Your close touch with each other’s sense of aesthetics should serve to keep partnership agreement on track. Jeniffer’s Jupiter in inconjunct (within 2.6 degrees) with Ben’s Mercury and Jeniffer’s Mercury in weak square (within 5.6 degrees) with Ben’s Jupiter. Since your and your partner’s complementary planets follow the same pattern, this aspect is greatly emphasized in your reading. Pay special attention to the following material! The planetary energies do not flow smoothly, one or the other predominates; discrimination must be employed. This aspect, of Mercury in minor dynamic relation with partner’s Jupiter symbolizes a strong verbal connection between you. Although you are likely to enjoy good banter and expression of ideas, your intellect and viewpoints may be different, or promises made may be bigger than actual returns. The indications are there in your partnership for travel, religion, education, and good communication, although you may encounter drawbacks, such as ethical and moral issues that may arise between you, or interests that vary. Jeniffer’s Mercury in strong trine (within 1.7 degrees) with Ben’s Neptune The planetary energies flow smoothly; the connection is easy and beneficial. This aspect, of Mercury in flowing relation with partner’s Neptune, inspires and spiritualizes your relationship. Sharing discoveries in music or the arts may well provide encouragement, inspiration and support for each other. Telepathy and intuition, imagination and sympathy are part of your partnership make-up. It may be that Ben idealizes the intellectual accomplishments of Jeniffer. You may well find work in the arts, or in hospitals, or other institutions of service together. In terms of personal transformation, movement is possible where Jeniffer works into a more creative or spiritual direction, while Ben, who may be more the dreamer in the relationship, becomes more logical and decisive through the partnership interaction. Together, your ability to serve and give to each other and to others is enhanced. Jeniffer’s Jupiter in strong opposition (within 0.8 degrees) with Ben’s Venus The planetary energies are polarized; outer events stimulate their interaction; integration is the challenge. This aspect, of Venus in conjunction or opposition with Jupiter, indicates expanded wealth, social contact, and true positive enjoyment for this partnership. Mutual helpfulness, and shared abundance, with benefit of encouragement, consideration, and sympathy between you. Jeniffer brings expansion to Ben, or the two of you may switch roles. There is also the promise of good fortune materially, or possibly there could be waste and excess. It really is up to how the partners work with the energy, whether you choose to take the high road. Finances should be closely watched, and excess controlled. Jeniffer’s Uranus in semi-square (within 0.6 degrees) with Ben’s Mars and Jeniffer’s Mars in strong trine (within 1.5 degrees) with Ben’s Uranus. Since your and your partner’s complementary planets follow the same pattern, this aspect is greatly emphasized in your reading. Pay special attention to the following material! The planetary energies flow smoothly; the connection is easy and beneficial. This aspect, of Mars in flowing relation with partner’s Uranus, promotes creative innovation in science, mechanics or enterprise, and confident adventuring together. The partnership may exhibit progressive or rebellious tendencies, with focus on humanitarian effort. There is a good foundation for a shared new vision between you, a lively intellectual and questing spirit no longer tolerant of an outmoded status quo. Together, you possess a strength of purpose that can take you far with each other, especially in the areas of humanitarian, technical, or international, and universal objectives. Sun, Moon, Rising Sign Features Jeniffer’s Jupiter in strong opposition (within 0.3 degrees) with Ben’s Ascendant and Jeniffer’s Ascendant in weak opposition (within 5.8 degrees) with Ben’s Jupiter. Since your and your partner’s complementary planets follow the same pattern, this aspect is greatly emphasized in your reading. Pay special attention to the following material! The planetary energies are polarized; outer events stimulate their interaction; integration is the challenge. This aspect, of Jupiter conjunct or opposed to partner’s Ascendant, represents abundance and joy, wisdom and expansiveness. There is trust, optimism and faith between you, and openings for material wealth, as well as spiritual understanding. Both partners will support and bring abundance to each other, with freedom to expand their individual horizons as well. Other Comparison Aspects Jeniffer’s Moon in strong square (within 2.3 degrees) with Ben’s Midheaven and Jeniffer’s Midheaven in sesquiquadrate (within 0.1 degrees) with Ben’s Moon. Since your and your partner’s complementary planets follow the same pattern, this aspect is greatly emphasized in your reading. Pay special attention to the following material! The planetary energies conflict in determined subtle tension; control is required. This aspect, of the Moon in minor dynamic relation with partner’s Midheaven represents a nurturing and supportive relationship, with a drive to success, although there could be disconnects on partnership direction and purpose. Although you express your emotions strongly to each other, and actively participate in each other’s achievements, there may be difficulties requiring adjustment, such as a competitive attitude between you which does not easily find its resolution, with respect to shared goals of a familial, business, or security-oriented nature. Jeniffer’s Saturn in strong opposition (within 2.0 degrees) with Ben’s Neptune The planetary energies are polarized; outer events stimulate their interaction; integration is the challenge. This aspect, of Saturn in conjunction or opposition with partner’s Neptune, symbolizes inspiration, practical support for each other, and a responsibility toward service for others. There is a feeling of helpfulness between you, which may also extend to other people as well, perhaps with a sense of duty or obligation. Areas of focus may include bringing into accord spirituality and business, or work in the healing professions. Jeniffer may be the more practical partner, who keeps focus and makes effective use of partnership energy, while Ben has the will to serve and give to their partner. Jeniffer may impose limits, while the more giving and spiritual Ben will accept this point of view with tolerance. Jeniffer’s Uranus in strong conjunction (within 0.3 degrees) with Ben’s Uranus The strongest blend of the energies represented by these two planets. This aspect, of Uranus in conjunction with partner’s Uranus, is a generational connection in which partners of the same age are linked, and indicates many mutually shared interests in a relationship between two people generally friendly toward and understanding of their partner. Science, technology, and education, are enhanced or otherwise emphasized, and other factors such as inventiveness, rebellion, or individual freedom may well come up for you in your relationship. There is also the strong possibility of shared altruism and other compatible humanitarian objectives, which highlight each of your unique individual initiatives. You may find yourselves in agreement regarding ideas that are future oriented and perhaps eccentric from the standpoint of consensus reality. Jeniffer’s Pluto in strong square (within 1.4 degrees) with Ben’s Jupiter The planetary energies conflict; internal and creative tensions bring rich rewards through effort over time. This aspect, of Jupiter in dynamic relation with Pluto, symbolizes a strong and mostly positive connection which brings out the best of understanding, depth, and wisdom between you. Your relationship may also include an inclination for the unbounded application of desires. An authoritative nature may emerge, or some form of misuse of resources, or risks may be taken, and need to be better understood, in the area of philanthropic projects, spiritual endeavors or progress with partnership goals. You may find depth of spiritual understanding and evolutionary growth and transformation in this partnership. Jeniffer’s Pluto in strong conjunction (within 0.5 degrees) with Ben’s Pluto The strongest blend of the energies represented by these two planets. Pluto conjunct Pluto is a generational influence empowering group effort and karmic ties between groups. You are peers holding similar values who share like world views and perspectives. Jeniffer’s Ascendant in strong trine (within 0.4 degrees) with Ben’s Moon The planetary energies flow smoothly; the connection is easy and beneficial. This aspect, of the Moon in flowing relation with partner’s Ascendant, represents a strong emotional connection, and reflects your desire as a partnership for comfort and security. You protect and take care of each other and increase each other’s well-being, with a strong sense of family bond between you. This aspect symbolizes harmony and strength in your relationship. You tune into each other’s needs, with Ben stronger in nurturing while Jeniffer brings light and service to the partnership. Jeniffer’s Midheaven in strong square (within 1.1 degrees) with Ben’s Saturn The planetary energies conflict; internal and creative tensions bring rich rewards through effort over time. This aspect, of Saturn square partner’s Midheaven, indicates a relationship with a strong practical basis, but one in which conflicts may arise between stated goals and limits on these goals. Ben provides some sense of limitation or restriction. There can be difficulties between you, with perhaps a lack of openness, and the harsh reality of not getting much support from your partner for the demands of career and public expression in the world. This may require overcoming obstacles, or working all the harder for what you get. In general, you are not altogether comfortable with each other’s achievements, although there can be a benefit in terms of greater focus and refining of your goals. Ben may take on the role of a mentor or teacher for Jeniffer, and through holding back approval foster a slow and steady progress which ensures better and more complete accomplishments for Jeniffer in the long run. Jeniffer’s Midheaven in strong conjunction (within 0.7 degrees) with Ben’s Midheaven The strongest blend of the energies represented by these two planets. This aspect of Midheaven to partner’s Midheaven indicates sharing the same objectives, or harmony by goals and purpose, and you can work together, share career motivations, build, produce, and be industrious. The individual directions should be compared, and then accentuate your talents and focus desire. This is good generally for most mature relationship contacts, with a sense of shared duty, leadership and control in balance, and positive authority acceptance. Your values are aligned personally or in business. You move together in like worlds of affinity with some condition of challenge only from your keen yet separate individualities. Jeniffer’s Sun in quintile (within 1.2 degrees) with Ben’s Ascendant The planetary energies are positively linked, subtle, and spiritual in dimension. This aspect, of Sun in flowing relation with partner’s Ascendant, is an important connection that promotes growth and vitality. You feel good about the connection with your partner, with potential for mutual benefit, and opportunities for learning, with Ben perhaps learning more than Jeniffer. This aspect symbolizes a good degree of like-mindedness between you, with a feeling of new initiative, bonding in the name of character and shared values, and can help to shed light on your relationships with other people as well. This aspect promises mutual well-being, energy, and vitality between you. Jeniffer’s Moon in quintile (within 3.0 degrees) with Ben’s Mars The planetary energies are positively linked, subtle, and spiritual in dimension. With this aspect, of the Moon in flowing relation with partner’s Mars, your partnership is active and enthusiastic. You feel support for each other, with a definite drive to succeed and to express your emotional selves strongly. There could be volatile emotions expressed between you at times, in a mostly congenial relationship. You may encounter open expressions of volatile emotions, even anger, but for the most part these can be resolved in short order. 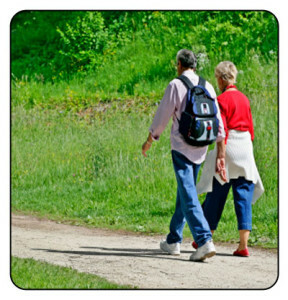 Your relationship involves active participation with each other. It is likely that Ben more often engages, and Jeniffer more often responds with feeling. 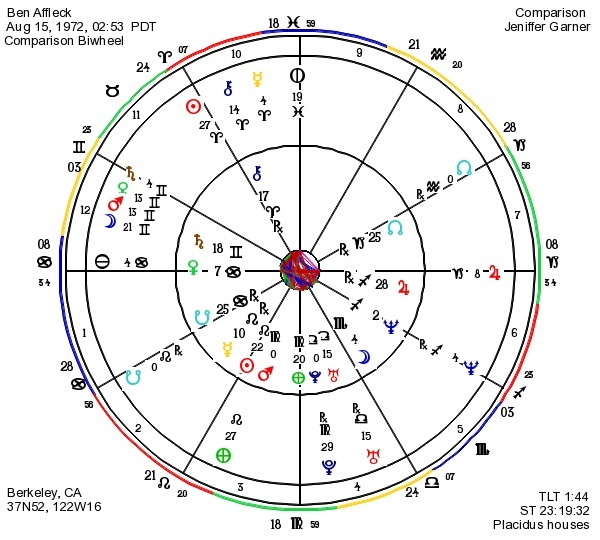 Jeniffer’s Moon in trine (within 5.8 degrees) with Ben’s Uranus The planetary energies flow smoothly; the connection is easy and beneficial. This aspect, of the Moon in flowing relation with partner’s Uranus, indicates a mystical connection full of surprising insights and the potential for sudden changes. There is some higher purpose to the interaction between you, in a partnership that is based on mutual interests and an appreciation of unique individuality. Your friendship is open and eclectic as well as unconventional or unique in some form. There may be a multi-cultural factor, or some other unusual side to your relationship, formed by a blend of higher vision with more worldly activity, and an emotional bias based on like attributes. There could be sudden insights and deep awareness brought about through this interaction. There may be progressive humanitarian endeavors that you undertake together. The nature of this connection is to broaden, with a focus on the potential for positive change, and also the balance of emotional independence between you. You feel as though you can say anything to each other, and may develop new insights about your past, as well as your future plans and aspirations. You make each other feel supported and free to express that uniqueness that you have inside, with a sense of fond good feelings for all you share together. Jeniffer’s Mercury in inconjunct (within 0.6 degrees) with Ben’s Moon The planetary energies do not flow smoothly, one or the other predominates; discrimination must be employed. With this aspect, of the Moon in minor dynamic relation with partner’s Mercury, your instincts are to change, educate, and learn together. Your relationship is never static. You may not always be in complete agreement, perhaps one wants what is practical and the other tends toward emotional considerations, or one is more mental and the other sensitive, but together, you can strike a balance by uniting thought and feeling, and while not always easy, it is always worthwhile. This aspect is also well-suited for work with children that you may do together. Jeniffer’s Mercury in opposition (within 3.8 degrees) with Ben’s Pluto The planetary energies are polarized; outer events stimulate their interaction; integration is the challenge. This aspect, of Mercury in dynamic relation with partner’s Pluto, represents a relationship that can be keenly introspective, yet also dynamic and active. One partner may seem to be able to plumb to the depth of the other’s psyche. Communications between you are deeply involving, with a sense of exploring the unknown, and may involve many divergent topics, or possibly taboo ones. There is a urge to develop understanding between you, to realize how the other one thinks. You make excellent coworkers, with opportunities for building ideas together, planing for the future, or sharing research and study of the occult, metaphysical matters, health and healing practice, perhaps involving institutions. You may also become involved as a partnership with issues of investigation and direct understanding by the intuitive mind. You may uncover connections to healing, or new forms of regeneration of body, mind, and spirit. Jeniffer’s Venus in trine (within 2.3 degrees) with Ben’s Uranus The planetary energies flow smoothly; the connection is easy and beneficial. This aspect, of Venus in flowing relation to partner’s Uranus, symbolizes a pattern of real friendship and harmony, with mutual encouragement and sharing, in an unusual, innovative and altruistic partnership. The indications are good for artistic achievement in the work you do together. You have an instant and intuitive rapport with each other. You are likely to benefit yourselves and others, bringing in a unique and perhaps eccentric form of excitement. Inspiration from new dimensions of experience combines with worldly interests to enhance cooperation between you, for your mutual benefit and that of society around you. Originality and Imagination come together, with the fascination of convivial companionship and shared interest. Jeniffer’s Mars in sextile (within 3.1 degrees) with Ben’s Mercury The planetary energies flow together, open into new possibilities, new connections. This aspect, of Mercury in flowing relation with partner’s Mars, represents terrific support in your partnership for the other person’s thought process. You demonstrate wit and charm together, and your relationship has the attributes of mobility, rapid change, and the forceful expression of your ideas with each other. Jeniffer energizes the mind of Ben, who in turn may provide direction and insight to the enthusiasms of Jeniffer. Your shared experience of communications, sales, research, athletics, and physical movement in general is likely to be enhanced. You do things together well, and can achieve much as a partnership, with a good sense of agreement in mutually deciding on plans and activities. This aspect promises initiative, swift action, ideals expressed and put to work. More energy comes to you for your shared plans, together with a high degree of efficiency and zeal between you. Jeniffer’s Jupiter in quintile (within 1.2 degrees) with Ben’s Midheaven The planetary energies are positively linked, subtle, and spiritual in dimension. This aspect, of Jupiter in flowing relation with partner’s Midheaven, symbolizes a connection likely to bring fortune, grace, wisdom, spiritual realization, and growth in shared purposes to your relationship. Business interests between you are supported, as well as philosophy and educational goals. The nature of this connection is for you to give each other great spiritual support for expanded plans and career goals. Jeniffer provides a great deal of enthusiasm, with Ben providing the directional focus. There is generosity and enthusiasm between you, zeal to succeed, and wisdom to identify proper objectives. Jeniffer’s Saturn in trine (within 4.1 degrees) with Ben’s Pluto The planetary energies flow smoothly; the connection is easy and beneficial. Jeniffer’s Uranus in quintile (within 0.9 degrees) with Ben’s Jupiter The planetary energies are positively linked, subtle, and spiritual in dimension. This aspect, of Jupiter in flowing relation with partner’s Uranus, brings exploration, unique invention, and possibly great good fortune to your partnership. You are in a unique position to develop your talents, with wide world scope, enabling you to realize multi-cultural or universal objectives. This altruistic, friendly, and supportive combination aligns you socially and philosophically, as aspirations are stretched to “the sky’s the limit”. Jeniffer’s Uranus in trine (within 2.8 degrees) with Ben’s Saturn The planetary energies flow smoothly; the connection is easy and beneficial. This aspect, of Saturn in flowing relation with partner’s Uranus, indicates a most interesting tie between you, to combine the old and new, the well worn and the innovative. With this interaspect, there is a visionary organizational factor present in your partnership, which is likely to bring forth new work in industry, art, or science, politically, socially, or perhaps universally. Frugal balance of limitations together with higher vision makes for good coordination of effort in this partnership. There is the strong possibility of beneficial humanitarian effort, and constructive ingenuity between you.Oneone of you may be more the innovator, one the more conservative. The innovator, usually Jeniffer, adds new factors to the mix, which may serve to break up old patterns for Ben. This aspect also indicates increased creative cooperation between you so that contradictions fall away in respect and understanding, with effective leadership and shared ideas. The energy between you is strong for harnessing visions and dreams of a better society and bringing these closer to reality. Jeniffer’s Neptune in semi-sextile (within 0.1 degrees) with Ben’s Moon The planetary energies attract each other, require effort, allow entry of new information. This aspect, of the Moon in minor dynamic relation with partner’s Neptune, represents a relationship of great sensitivity and mutual rapport, but with the strong possibility of misunderstandings or illusions coming up between you. Concerns may be brought up but not acted upon or one partner’s reactions may be misinterpreted despite good intentions. These emotional reactions need to be aligned with a more mature spiritual understanding. The contact between you may be stressful at times, but also may be about congenial, warm, and open sharing. Also included in your relationship is shared creativity in the arts, or music, perhaps caring for the sick and elderly, or for other disadvantaged groups. Jeniffer’s Neptune in inconjunct (within 2.7 degrees) with Ben’s Venus The planetary energies do not flow smoothly, one or the other predominates; discrimination must be employed. This aspect, of Venus in minor dynamic relation with partner’s Neptune, represents an idealized connection between you. Your relationship may involve music, art, dance, spirituality, and areas of service. There is sympathy, and creativity, together with some aspect of the feminine. There can also be loss of good judgment, but this may be a blessing in disguise. There is likely to be a warm feeling of sympathy between you, but it is also possible that what is promised may never actually be delivered, even though both sides operate in good faith. Jeniffer’s Neptune in conjunction (within 2.3 degrees) with Ben’s Neptune The strongest blend of the energies represented by these two planets. This aspect, of Neptune conjunct partner’s Neptune, represents a generational influence of shared feeling, sensitivity, and caretaking that applies to similar areas of life. Spiritual goals may be quite similar between you, and your peers will also feel the same way. You may also find that you feel a lack of sympathy to that part of the outer world that does not share your views.On the other hand, you will find service and helpfulness for each other, and mutual support, together with harmony and creativity in the arts as well. Jeniffer’s Pluto in semi-sextile (within 0.2 degrees) with Ben’s Mars The planetary energies attract each other, require effort, allow entry of new information. This aspect, of Mars in minor dynamic relation with partner’s Pluto, encourages a broad focus, with passion, drive, and ambition to succeed between you. The dynamic pull can manifest as powerful magnetism or combative disassociation between you. If you can manage it, your partnership will be productive of physical manifestations such as mechanics and engineering research, or assistance in business and promotional areas. The depth of focus between you can bring you to either disagreement or a determination to work with each other despite the odds. Jeniffer’s Pluto in sextile (within 2.5 degrees) with Ben’s Neptune The planetary energies flow together, open into new possibilities, new connections. This aspect, of Neptune in flowing relation with Pluto is a generational aspect which applies to many people in your same general age-groups. For this reason less emphasis is placed on the symbolic connection implied by the joining of these two planetary energies. However, that said, the symbolism of these planets does indicate that you have a powerful spiritual component in your partnership with each other. The empowerment represented by the Pluto energy conjoins with the spiritual dimension of higher reality indicated by Neptune, to create a sympathy with great depth of passion that can light the way to higher purpose in your mutual endeavors with each other. Jeniffer’s Ascendant in conjunction (within 3.1 degrees) with Ben’s Venus The strongest blend of the energies represented by these two planets. This aspect, of Venus in conjunction or opposition with partner’s Ascendant, symbolizes strong feelings of affection between the partners. Your relationship has a great deal of personal warmth, harmony, and pleasure, as well as the likelihood of social interaction with friends or associates. Economic activity is encouraged between you, and your partnership has definite earning potential. It is also possible that artistic endeavors form an important basis for your partnership connection. Jeniffer’s Ascendant in sextile (within 4.2 degrees) with Ben’s Mars The planetary energies flow together, open into new possibilities, new connections. This aspect, of Mars in flowing relation with partner’s Ascendant, provides ample physical vitality, energy, enthusiasm, and personal drive in the partnership. Also movement, athletics, and drive to action is encouraged, as well as the personal appeal and self-expression of both partners. Jeniffer’s Ascendant in inconjunct (within 1.9 degrees) with Ben’s Neptune The planetary energies do not flow smoothly, one or the other predominates; discrimination must be employed. This aspect of Neptune in minor dynamic relation with partner’s Ascendant, indicates a spiritualizing influence of your relationship that affects both partners. Together you are likely to have a focus of artistic creativity, and perhaps also of service or being helpful to others. This aspect can also manifest as dysfunction in terms of misunderstandings, or a basic lack of practicality between you. One partner’s individuality and pragmatic nature may not agree with the other’s sense of spirituality. Ideals may not be easily applied, or the desire to serve by one partner not shared by the other, who would rather go his or her own way. This aspect also indicates inspiration and sympathy, as well as potential confusion or lack of judgment in your dealings with each other. Compassion and sacrifice, or abandoning the material world in favor of the spiritual one, can also come into play. Support is available in your relationship to heal and be sensitive to each other, and you each may benefit from a kind of transference quality between you, as you come to really understand the ways of your partner. Jeniffer’s Ascendant in square (within 4.0 degrees) with Ben’s Pluto The planetary energies conflict; internal and creative tensions bring rich rewards through effort over time. This aspect, of Pluto in square with partner’s Ascendant, indicates a powerful and somewhat dangerous interaction between the partners. It signals potential authoritative control on the part of one partner that can become manipulative, or turn into bullying; even violence is possible. There is some deep level of connection between you which works for change in each of you, as relatively unconscious behaviors surface and potentially explode. You may keenly feel the depth and limitation of life as a result of this interaction and this relationship may force you to seek radical departure from old patterns. Jeniffer’s Ascendant in conjunction (within 4.1 degrees) with Ben’s Ascendant The strongest blend of the energies represented by these two planets. This aspect, of Ascendant conjunct partner’s Ascendant represents an important connection between you that promotes growth and vitality. You feel good about the connection, with loads of potential for mutual benefit, and opportunities for learning. This relationship provides new initiative, bonding in the name of character, possibly athletics and a good degree of like-mindedness between you, and can help to shed light on your relationships with other people as well. This aspect represents harmony of goals, and symbolizes general physical compatibility: you bring light to each other. You feel playful and uplifted by your connection, with a profound way of bringing out the best in each other. The focus may be on appearance or fashion, or on some creative modality. Your childlike nature is likely to come out through this relationship, and the potential for mutual enjoyment is high, with plenty of mutual well-being, energy, and vitality. Jeniffer’s Midheaven in inconjunct (within 3.0 degrees) with Ben’s Sun The planetary energies do not flow smoothly, one or the other predominates; discrimination must be employed. This aspect, of the Sun in minor dynamic relation with partner’s Midheaven, indicates shared purpose and mutual objectives, usually with some recognition or rewards in creative areas, perhaps sports, entertainment, business, or leadership roles, but with the possibility of conflicts over the direction of partnership activities. It is likely that one partner, perhaps Jeniffer, will provide leadership, while the other either goes along more or less willingly, or else struggles against the impulse. Jeniffer’s Mercury in weak square (within 4.4 degrees) with Ben’s Ascendant The planetary energies conflict; internal and creative tensions bring rich rewards through effort over time. This aspect, of Mercury in square with partner’s Ascendant, represents a mental challenge, or cross stimulation between you. There may be inappropriate communication, travel plans not clarified, or exchanges of ideas that one or the other does not resonate with. Criticism by one partner for the other and verbal disputes between you are also possible. You also may well pursue creative outlets together, such as in information fields, writing or perhaps media analysis. You have a strong desire to communicate with each other, and will have many lively and stimulating discussions together, although the possibility exists that there may be poor communication that does not mesh with your partnership goals, or you may suffer from missed opportunities, perhaps there is some area of disagreement between you such as choosing mental pursuits versus desire for action, or over-thinking of the details of an issue. You benefit by attempting to really understand your partner, even when they are thinking quite differently from you, and allowing them some slack. Jeniffer’s Venus in weak conjunction (within 5.5 degrees) with Ben’s Saturn The strongest blend of the energies represented by these two planets. This aspect, of Venus in conjunction with partner’s Saturn, is stabilizing and grounding to the partnership. The indications are there for practical function, stability, productive creativity and fruitful design projects together. Excesses are controlled, and constancy is the norm. Responsibility and commitment are very much in the picture, with indications of a good ability to work together. There may be imbalances to work through, such as one partner being more giving than the other, or limited economic circumstances that cause friction or discomfort. Ben likely provides the more mature and stable influence, while Jeniffer benefits and feels guided, hopefully not controlled. Jeniffer’s Venus in weak square (within 5.9 degrees) with Ben’s Midheaven The planetary energies conflict; internal and creative tensions bring rich rewards through effort over time. This aspect, of Venus in square with partner’s Midheaven, represents a strong link between you regarding plans and aspirations, although with the potential for diffusion of objectives between you and waste or excess of some variety. You value the same things overall, though you may come to this appreciation from different angles. There may be a conflict between practical directions and selfish attitudes, or perhaps a lack of initiative, where one partner prefers to enjoy the fruits of labor while the other wishes to continue working. Jeniffer provides an aesthetic sensibility, which in general supports the career goals of Ben, or may at times operate at cross-purposes to these goals, while Ben takes a more practical and real-world approach. There is likely to be an artistic side to the work you do together. Jeniffer’s Mars in weak conjunction (within 4.6 degrees) with Ben’s Saturn and Jeniffer’s Saturn in weak square (within 4.3 degrees) with Ben’s Mars. Since your and your partner’s complementary planets follow the same pattern, this aspect is greatly emphasized in your reading. Pay special attention to the following material! The planetary energies conflict; internal and creative tensions bring rich rewards through effort over time. With this aspect, of Mars in square or opposition to partner’s Saturn, there is the potential for leadership by one partner, but this also may be experienced as restriction and an inclination to authoritarian control. Ambition and leadership in the relationship can become issues of control, as one tries to get ahead of the other. The best of this tends towards cooperation, yet the result may not be to gain, but for one partner to be angry, irritated, and unsettled. There is restraint, and potentially restriction of Ben by Jeniffer, but Jeniffer also supplies needed discipline for the partnership. Resistance can become resentment in Ben as the caution and controlling behavior of Jeniffer is enforced. These roles can also be reversed, but Jeniffer is likely to be the enforcer, with Ben the willful and subdued. The friction between you can become intolerable and antagonistic. You benefit by agreement on shared goals and consciously working together, with the awareness of one partner as the driving energy, the other as welcomed discipline and focus of direction. Jeniffer’s Mars in weak square (within 5.0 degrees) with Ben’s Midheaven The planetary energies conflict; internal and creative tensions bring rich rewards through effort over time. With this aspect, of Mars in square with partner’s Midheaven, there is energy for the coordination of shared goals and partnership motivation, although some conflict over objectives is also possible. You have the ability to energize a positive direction into achievement together, or else your personalities may clash in regard to worldly purpose and direction. While Jeniffer is likely to provide energy in support of Ben’s career, it may feel like pushing too hard, or the advice may not be well received. There can be a good deal of rivalry or testing between you since you are both strong-willed in this interaction. It would be better to organize actions together, and attempt to reach some union of purpose with each other. Jeniffer’s Neptune in weak square (within 4.6 degrees) with Ben’s Mars The planetary energies conflict; internal and creative tensions bring rich rewards through effort over time. This aspect, of Mars in square with partner’s Neptune, indicates a spiritually rich relationship, although one that is potentially disruptive, with physical and spiritual drives misaligned between the partners. Together you can create artistically and possess enthusiasm for spiritual matters, or areas of service together, but your relationship may also include a lack of responsibility, illusion, and deception. The combination can be exasperating, with one wanting motion, the other rest, or the timing of motivations may be off. On the positive side, your creative values can support art, drama, and music, or perhaps mystical investigations.